We all need mobiles which can offer more than what it is made for. Customization may be necessary by increasing the ROMs or updating apps and having access to unlimited features without any hassle. Thus Rooting helps in doing so by having access to the operating system of the Android Phone. It is kind of like a Jail break. KingoRoot Apk is software which is similar to vRoot and it is one of the highly effective app compare to other Rooting Softwares. KingoRoot Apk is considered to be one of the best software for rooting via Computer but it can also Root without PC. 1. KingoRoot Apk can unlock Hidden features. 2. It can speed up and increase the Android performance. 3. Helps in removing Advertisements which delay the work and cause problems. 4. KingoRoot Apk will increase the Privacy Guard in the phone. 5. Thus it also increases the battery life of the Phone. a.	Booting is much faster in KingoRoot Apk. a.	KingoRoot Apk is more considered for Rooting via PC compared to Android Rooting. 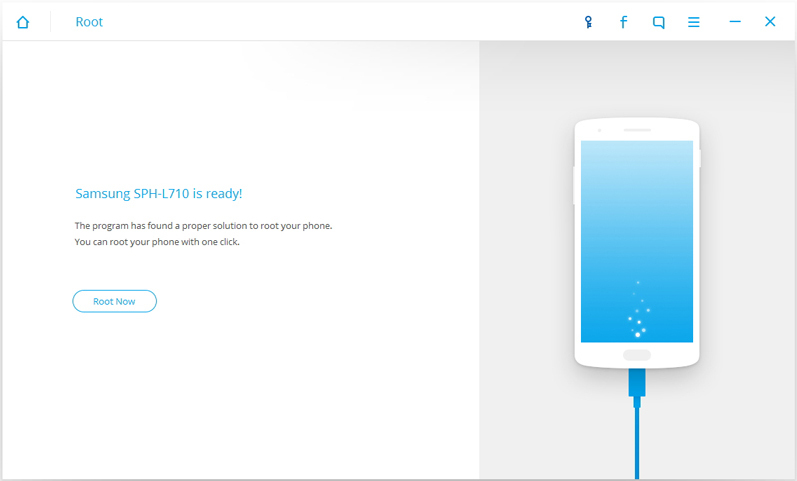 Z4Root Apk is one of the oldest apps to Root Apk Android phones. If you have Android Phones which is Good leading brand then Z4Root Apk is the best app for you to use for Rooting Android Device. 1. 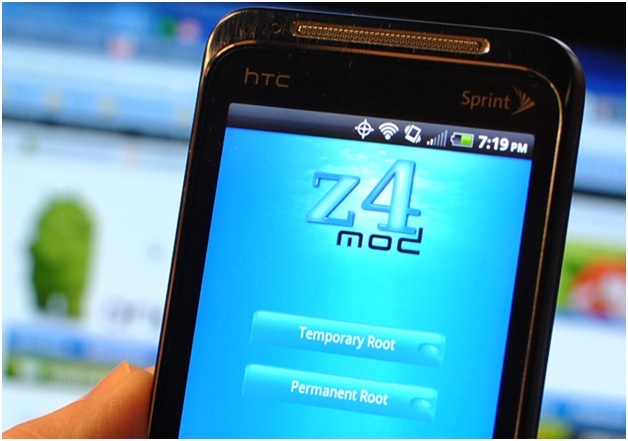 Z4Root offers the product and service free of cost. 2. It is preferable on old devices also and doesn’t create any load on the device. 3. This software has highest success rate. 4. Z4Root is free of Advertisement so it is without any popup, etc. 5. The App is very easy to use and it doesn’t have any complex features. a. It is one of the oldest and trusted Apps used for rooting Android Phones without PC. b.	Z4Root Apk works best on all devices of Samsung Galaxy. c.	It has recently started rooting via Android Phones. a.	Z4Root Apk doesn’t root all the devices. It roots only some devices. b. There only limited updates available. c.	It has lengthy process that makes it a confusing way to Root mobiles. 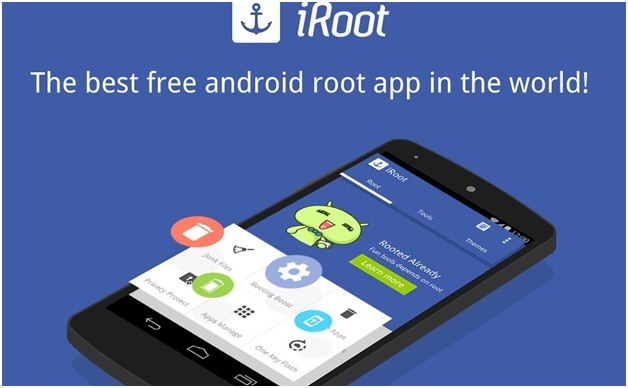 iRoot Apk is the most popular and the best app to Root Android Phone without PC. It was first available in Chinese language but now it is available in English language also. iRoot Apk is very flexible and offers many updates. 1. To use this application one has to install the iRoot software on the computer then only it will work smoothly. 2.	iRoot Apk gives a fast rooting option by giving the option of one click root. 3.	iRoot Apk also a recovery root option to root the mobile instead by a normal mode. 4. After installing this application it can automatically start installing system cleaner, Chinese app store on the Android phone which can uninstalled later. a.	iRoot Apk is one of the flexible Root Apk app. b. It gives more option and provides many updates. c.	By one click the app will be rooted without PC. a.	Rooting an Android phone will have to lose the warranty on their mobile. b. Some of the updates will be stopped because of some modifications. c.	It can brick your Android Phone. 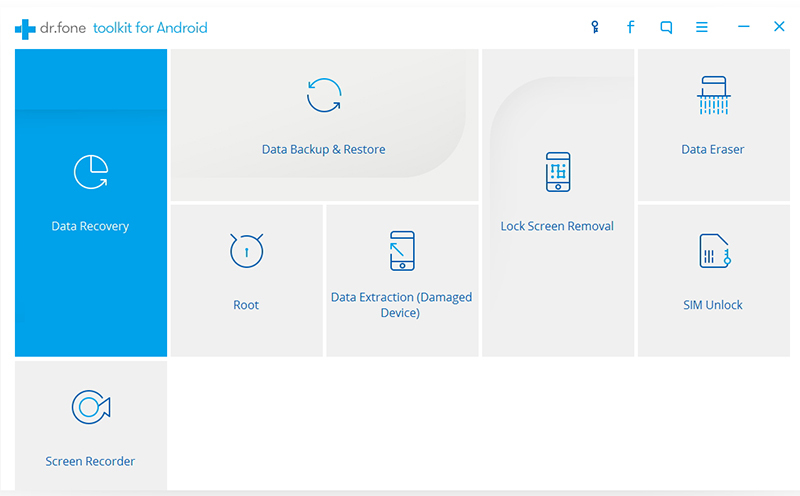 Root master is the first English Apk which can Root Android device without PC. If you find difficulty in rooting you Android device then this is recommended app to root device without any tension and it’s free to use. 1. 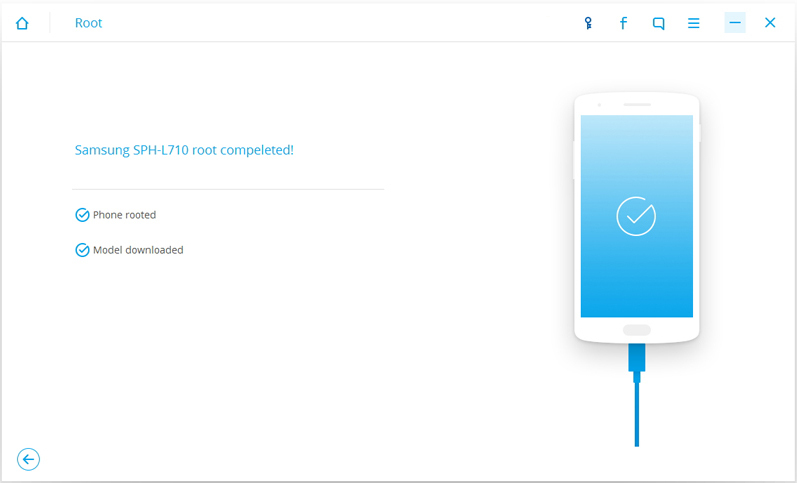 Root Master apk can root android devices without computer. 2. It can speed up and increase the performance of the phone. 3. You can uninstall the application which is already installed in the phone. 4. The android device will be stable with no security threat. 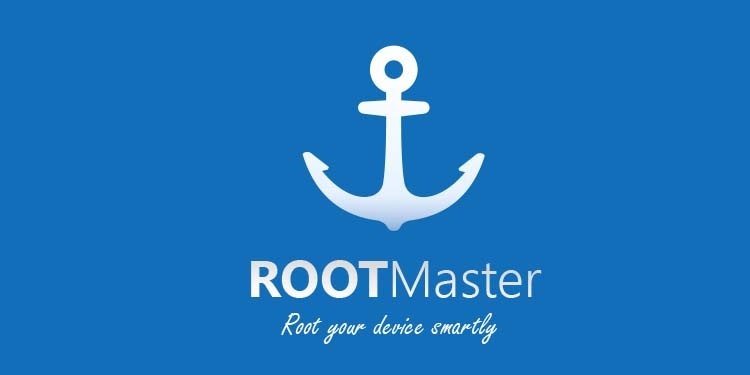 a.	Root Master Apk is a free app which helps in rooting devices without PC. b. It is one of the effective methods to Root Devices. c.	Many users have found success in rooting their devices and its more trusted app. a. It can brick and also spoil your Android phone. b.	Root master is not compatible with all the devices. One Click root Apk is the fastest and safest Rooting software. It supports Thousands of Android Devices for Rooting Phone without PC. It is one click facility to root your Android Mobile. It provides free Wi-Fi tethering without paying any penny. 1. In one click root Apk you can flash a Custom Kernel. 2. Free wifi wireless tethering available in one click root apk. 3. You can enjoy various hidden features such as attaching a play station controller, etc. 4. One click Apk can give an option of making changes in the skin of the Android phone. 5. Tired and sick of the preinstalled apps which just only consumes the space on the mobile then with the help of one click root apk you can uninstall such apps. 6. One click apk can back up the Android devices. a. One Click Apk offers fastest way of rooting Android by just one click. b. It offers Free Wi-Fi Tethering by avoiding costly fees charged by companies. c.	This Root Apk software helps in preserving battery life. a. There are chances of some bugs and viruses in the software. b. One Click apk doesn’t support HTC mobile. King Root Apk is one of the apps which give an option of one click features. This Root Apk software has simple steps without any confusion so it is very easy to use. It supports almost all the devices and King Root Apk has a high success rate in rooting the mobile. 1. It gives one click features of rooting a device instead of lengthy process. 2. Along with Application you will get one more app which is Purify app. Purify app is really great for the device to get optimized. 3. King Root Apk needs an Internet Connection. a. It is one of the Popular Android App for rooting Devices. b.	KingRoot has simple steps in rooting devices. c.	It has one click feature so it is one of the fastest software in rooting the devices without PC. a. By rooting the mobile you may loose the warranty of the mobile. 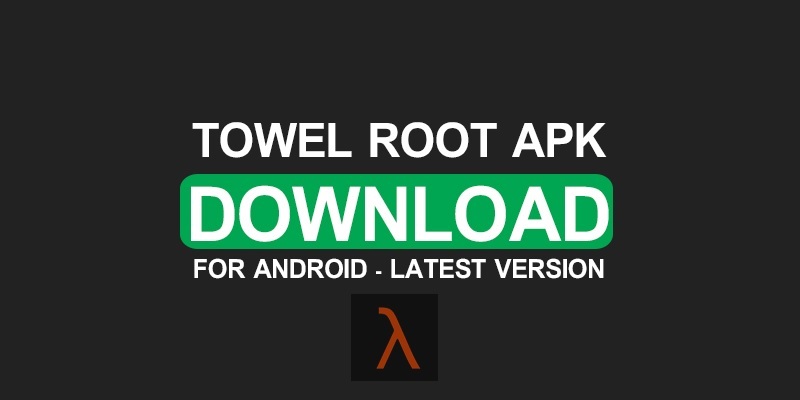 Towel Root Apk is much more recommended for HTC Android phones because there are many root apps which doesn’t provide rooting for HTC mobile but this software is really preferable for rooting devices without PC. 1. Rooting the mobile is made very easy and removes all the lengthy process of rooting a Device. 2. By just tapping a button you can root your mobile. 3. You can root Android phone with PC and also without PC by downloading the Application on the phone. a. It has highest success rates in successfully rooting an Android phone without PC. b. It is also available for HTC mobile. 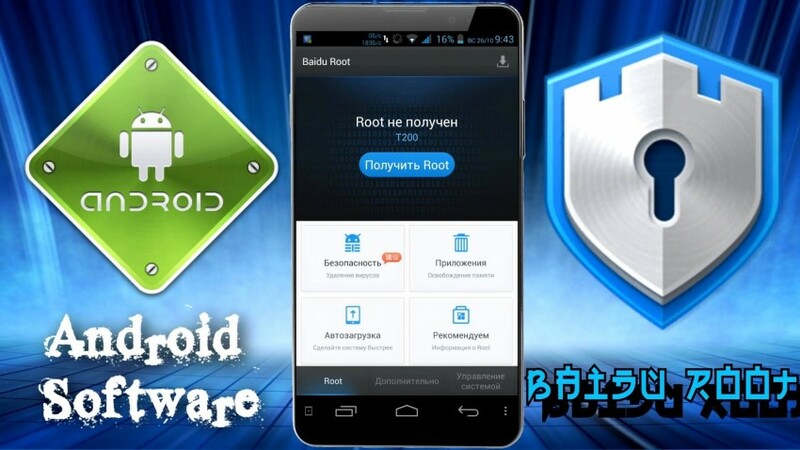 c.	Towel Root Apk ensures security against Phone getting bricked. a. There is a risk of Android phone getting bricked even though they ensured security against it. b. It may install software which has potential in corrupting your phone. Baidu Root Apk is compatible to more than 6000 Android phones and there is option in rooting the mobile via PC and also without PC. It offers easy and simple steps in rooting your Android phone. 1. The Baidu Root application supports Android 2.2 to 4.4 and also supports a number of devices. 2. This application will increase the speed and performance of the mobile. 3. It can uninstall the pre installed app which is been put in already in the Android device. 4. Baidu Root apk allows managing the Devices Memory usage. 5. This App ensures security and privacy concern on the mobile because it lets you directly manage your mobile. a. It covers more than 6000 Android Phones. b.	Baidu Root Apk provides easy and simple steps in rooting the mobile. c.	It is also available in English language also if you don’t understand Mandarin. a. It can also void your security issue with your Android Phone. Android Root is developed by Wondershare dr.fone team. 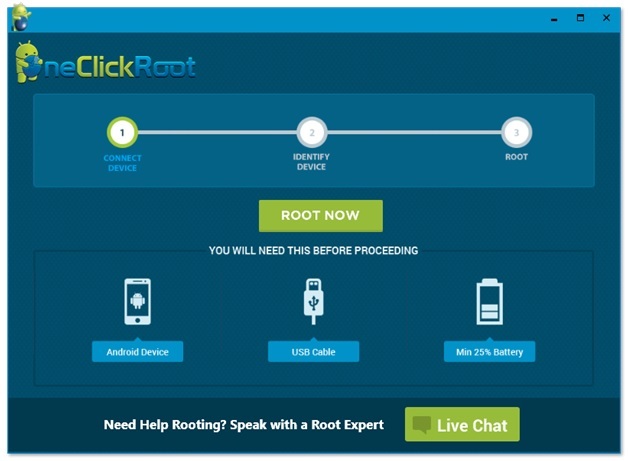 Rooting can be done in one click by Android Root. It is very easy to use. This Software is been highly recommended and very popular among every user. Below are the steps on How to Root an Android Device by using Android Root. Step 1. Install and launch dr.fone toolkit on your computer. Select Android Root among all the toolkits displayed on dr.fone toolkit . Step 2. 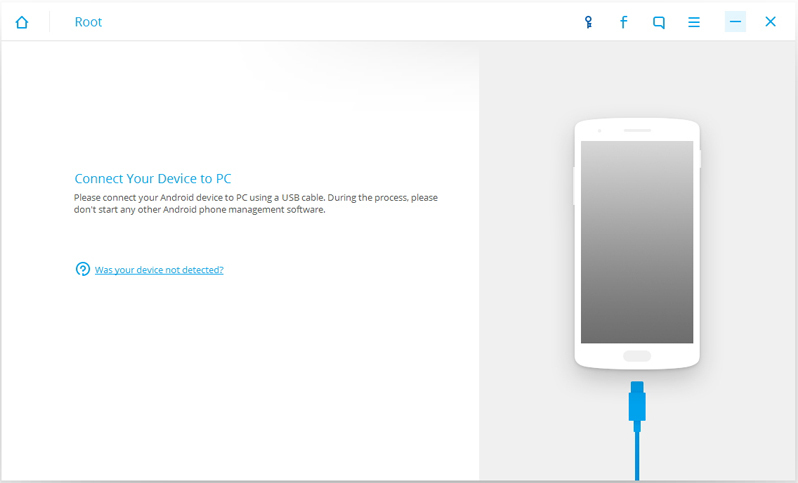 Connect the Android Phone to the PC via USB cable and the phone will automatically will get recognized by Dr. Fone. Step 3. By connecting the Android Phone via USB cable you have to then click start to get detected by Android Root. Step 4. After the Android Device is been identified the option of enabling the Root option will be available in Android Root. Step 5. By fulfilling all the above procedures your Android Mobile is been Rooted via Android Root. Thus, by using Android Root now you can make your mobile interesting. The apps are highly recommended for rooting devices without PC because it is trusted and very popular among all the users. You can download any one of the apps according to your needs and preference and enjoy unlimited access and opportunities to customize you Android Phone. Jailbreaking, equivalent to rooting, helps get the most out of Android. Find out how to jailbreak Android with the best free rooting tool (dr.fone - Root). Learn how to root Note 5 in this comprehensive post. From the risks and benefits of rooting to a stepwise process to root Note 5 – we have got you covered.